Woke this morning to find it had snowed in the night the Fisherman’s Bastion and Mathias Church in the historic Castle district of Buda on the hill across the Danube are looking pretty. A final generous breakfast – we’ve been spoilt for choice and attentively looked after – with a now depleted party as some of our fellow cruises have already left to catch flights. 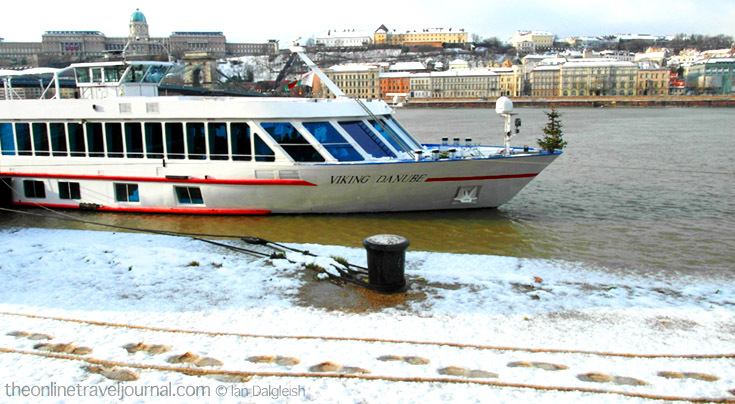 Last goodbyes and we leave Viking Danube crunching through the snow. So this is our cruise day by day; we’ve got many images, lots more to tell – look out for the multimedia feature we will be publishing about this Viking River Danube Cruise in the coming weeks.